Optimum Nutrition Protein Drink - Start The Year Right! For a lot of people, the new year is a great reason to start fresh; get a new hair due, grab a new outfit, but most commonly people are using that gym membership that has been going to waste! But you can’t start hitting the gym without a proper diet to support your workouts, and so many people turn to whey protein products to help supplement their post workouts. I hit up Amazon to check out what some of the most popular whey protein supplements were, and wasn’t surprised to see that Optimum Nutrition Protein Drink still remains # 1, and has held this position for many years. Even back when I just started working out, you go to the store with zero understanding of what you’re looking for, and find the most cool-looking or impressive protein supplement you can find. Even back then, I noticed many of the Optimum Nutrition Protein Drink’s sitting front and center on all displays and “bestselling” counters within the store. This day and age, we get 90% of our supplements online, which is what prompted me to do a review on Amazon’s best selling Optimum Nutrition Protein Drink to help direct some of the go-getting new years resolution types towards one the best quality proteins you’ll find on the market. 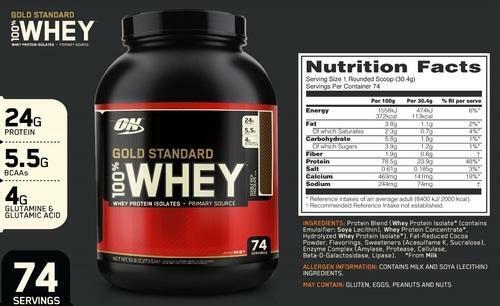 Join me in reviewing Optimum Nutrition’s Protein Drink, Gold Standard 100% Whey Protein! Want to take a look at some recipes for the Optimum Nutrition bran protein drinks? Check it out here! Optimum Nutrition is actually part of Glanbia, who is a leading international cheese and nutritional ingredients group. Glanbia owns and operates two premium sports nutrition brands; Optimum Nutrition, and American bodybuilding, and provides products in powdered, bar, tablet, capsule and read-to-drink formats. Optimum Nutrition started in 1986 and has two production facilities in Illinois and South Carolina. They are well known as one of the few sports nutrition companies to manufacture in every product category, and products can be found throughout the United States at nearly 10,000 specialty retail stores, gyms and fitness centers as well as major grocery chains and drug stores. Al in all, Optimum Nutrition finds itself in over 70 countries worldwide. What Is So Great About Their Protein Drink? There’s a lot of great things about this product, and it seems that everyone who tries the 100% whey Optimum Nutrition Protein Drink has something different to say about why they enjoy it so thoroughly. The most important thing about a protein drink is your taste. We want to enjoy the flavor of the drink after our workout; Not dread the drink more than the workout. It seems regardless of which flavor you pick, Optimum Nutrition has successful captured the flavor check mark for their 100% whey protein isolate. Although each flavor is pretty darn delicious, its understandable that flavors such as cake batter, or cookies and creme will get a tad too sweet over time. I currently use the double rich chocolate and enjoy it thoroughly. The next most important thing about a protein drink is the ability to grab and go. Now, although I enjoy mixing it in the blender with some fruit, spinach and other goodies, not everyone has time for that. The ability to be able to grab the powder, throw it in some water and go is crucial to the popularity of a protein drink. Optimum Nutrition did a great job with their Protein Drink, by making it extremely mixable, and easy to use with a few shakes. Just make sure you shake thoroughly, or mix quickly to break it up fast. The result is a smooth, not grainy, drink to enjoy after your workout. It mixes well with water OR milk! Need a blending bottle to go with it?! 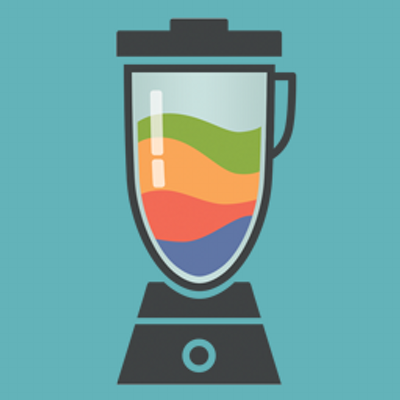 Another best seller is the blender bottle, which is literally listed as the BEST selling blender bottle on Amazon, and I would have to agree! It has a 20 OZ capacity for mixing protein shakes, smoothies or supplements. This is MORE than enough for me, at least. It also comes with a 316 surgical-grade stainless steel blender ball wire whisk (yes, I know it’s a mouthful). However, this type of wire ball is specifically found only with the official blender bottle brand of shaker bottles. The product’s lid is completely leak proof, and has a snap on cap that securely shuts. There is also a loop for easy carrying or attaching keys while at the gym! All blender bottles are BPH and Phthalate free, and are dishwasher safe. Last but most definitely not least, they come with a lifetime warranty. I encourage you to take a further look at these blender bottles! If you’d like to purchase one, check it out here for a good price! With one serving of the Optimum Nutrition Protein Drink, you’ll be getting 24 grams of protein, 3 grams of carbohydrates, 1 gram of sugar and 1 gram of fat. This of course, differs between flavors but is roughly the same! This protein is great for those of us on a low-carb, low-fat diet, and for those looking for slim down rather than bulk up while still promoting your muscle building. Optimum nutrition’s protein drink features an isolate blend of three different types of protein, this gives the best absorption and performance from the product. Compared to many brands out there, Optimum nutrition’s protein drink is very inexpensive, making it affordable for those who may not have the money to splurge. As I mentioned above, this product is one of few that contain a 3 whey protein blend, giving it a unique advantage over other products. Optimum Nutrition has added enzymes, that help improve digestion. This is an attractive feature for those of us that struggle with digestion or tummy problems. Last pro would be it’s mix-ability. There’s no hassle getting this product into a bottle and mixed up for instant use whether you’re at the gym, at home, or out and about. Although this product considers itself the best whey protein out there, there are always downfalls to some products, even if it’s only a few. One thing I am not overly enthused about is the fact that they do use artificial sweeteners in the protein drink. Having those natural flavors is what I ideally look for. One other thing, some of the flavors aren’t built to be used daily. What I mean by this is that they are too sweet to enjoy every morning, sometimes twice a day. When I got the cake batter favor I also, a few days later, had to purchase a regular vanilla flavor to balance the sweetness day to day. Now I have the cake batter for desert in the evenings! Overall, I think it would be hard to find a reason not to give this product a try. Between the amount of flavors, the appeal of an easily mixable product, and a taste quality that not many protein powders would match; There’s not much to dislike about the Optimum Nutrition Protein Drink. Don’t forget to take a look at other best selling products on my website!